Elyse Cherry, CEO of Boston Community Capital, was presented with the Dr. Susan M. Love Award by Dr. Jennifer Potter, Fenway Health’s Director of Women's Health at the 2014 Women’s Dinner Party. Cherry stated, “I salute Fenway Health & all of the women & men present for putting their shoulder to the wheel & helping to build the world we want.” Boston Community Capital’s mission is to build healthy communities through socially responsible investment & is personally committed to economic justice & equality, especially health equality for women & families throughout Massachusetts. Elyse is also a champion of LGBT equality & has served on the board of GLAD (Gay & Lesbian Advocates & Defenders) & chaired MassEquality during its successful campaign for marriage equality in Massachusetts. She is currently a board member of LPAC, (Lesbian Political Action Committee) which was created to support candidates who champion issues impacting lesbians & their families including ending discriminatory treatment of LGBT individuals & their families. LPAC also supports sexual & reproductive freedom & women’s access to quality health care & furthering social, racial, & economic justice for all Americans. Over two thousand members of our lesbian, bisexual women & transgender community & their allies attended this gala fundraiser that took place at the Boston Marriott Copley Place. Comedian Kate Clinton hosted the event, which raised hundreds of thousands of dollars to support the great work of Fenway Health. Then the dance party began with Boston funk band Booty Vortex & DJ Jodi kept everyone dancing into the wee hours. To kick off pride month in Chicago & celebrate the passage of marriage equality in Illinois, Center on Halsted has teamed up with MINI of Chicago to present the Biggest MINI Wedding to 2 couples with an all expenses paid wedding on the evening of May 31st into June 1st. All couples have to do is tell their story & why they deserve to win an all expenses paid wedding. 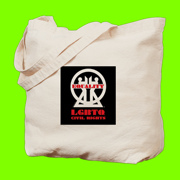 Modesto Tico Valle, CEO at Center on Halsted stated, "Marriage Equality is a huge step forward for the LGBTQ community. This event offers us a chance to kick off Pride Month, celebrate marriage equality & show the community what these new benefits look like." The passage of the Religious Freedom & Marriage Equality Act this past fall in Illinois allows all of the benefits of marriage to be extended to gay & lesbian couples. Enter in person by visiting Center on Halsted - 3656 N Halsted - MINI of Chicago - 1111 W Diversey - or online at biggestminiwedding.com. Sponsors include Sound Production Lighting LLC, e. melone, Robin Subar Lifestyle Photography, Thompson Chicago, Center on Halsted, Circuit Mom, Real Urban Barbecue, WCPT, Windy City Times, MillerCoors, MINI of Chicago, Roeser's Bakery, OUT Chicago, Service is Us, Jan Dee Custom Jewelry, Miller Fortune. 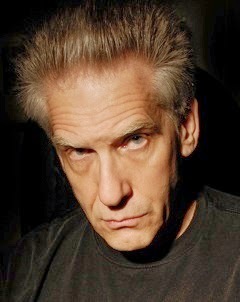 The Provincetown International Film Festival announced that acclaimed writer & director David Cronenberg (THE FLY, VIDEODROME, A HISTORY OF VIOLENCE) will receive the Filmmaker on the Edge Award at this year’s 16th annual festival. Director & PIFF resident artist John Waters will present the award at a special ceremony during the festival, which runs June 17-23 in Provincetown, Massachusetts. Mitch Levine Executive Director of the Provincetown International Film Festival & CEO of the Provincetown Film Society stated, “We are thrilled to be honoring David Cronenberg – a compelling & transformative filmmaker who perfectly represents filmmaking on the edge. We look forward to both celebrating & learning from this great cinema artist at our festival.” Perfectly suited for PIFF’s Drive-In Event Cronenberg will host a special double bill of VIDEODROME & THE FLY on Thursday, June 19th. In addition to the drive-in screenings, Cronenberg’s NAKED LUNCH will also be added to the festival program as a tribute. Past recipients of the Filmmaker on the Edge Award include Darren Aronofsky, Christine Vachon, Quentin Tarantino, Mary Harron, Jim Jarmusch & Gus Van Sant. This PIFF runs from June 18th to June 22nd. Festival passes will go on sale on April 7th. Tickets go on sale May 24th. 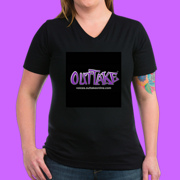 This will also be the seventh year we’re covering PIFF for OUTTAKE VOICES. 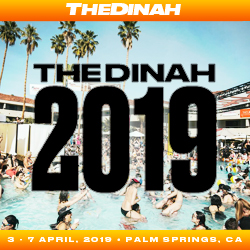 More than 15,000 women from all over the world will once again gather in Palm Springs, CA, to attend the biggest global lesbian event, Club Skirts Dinah Shore Weekend that takes place April 2nd to April 6th. Some of the highlights include The Dinah Film Festival presented by OML held on Friday, April 4th at 8P at the Hilton Hotel. Our good friend Producer JD DiSalvatore who produced Shelter, Marine Story & Elena Undone, is presenting this showcase of a variety of quality lesbian films including “Little Horribles”, from tello films "Nikki & Nora" & "Kiss Her I'm Famous" as well as "Dyke Central" & the short film "Secrets & Toys" among others. Then on Saturday April 5th there’s The L Word Pool Party from10A to 6P also at the Hilton. L Word iconic stars, Leisha Hailey & Kate Moennig will respectively step back one more time into their famed Alice Pieszecki & Shane McCutcheon shoes for an exclusive meet & greet 2:30P to 5:00P in the Grand Ballroom & from the Real L Word the hot rockers Hunter Valentine will be appearing. Also returning this year is the “Celebrity Poker Tournament” with all proceeds going to the Human Rights Campaign (HRC). Celebrities joining the poker tables include Jill Bennett ("Second Shot"), Chef K (ABC "The Taste"), Guinevere Turner ("American Psycho"), Ari Fitz ("MTV The Real World Ex-Plosion"), Gloria Bigelow ("Wanda Sykes Presents Herlarious"), Tracy Ryerson ("The Real L Word"), and Brittany Wiener (Bravo "Millionaire Matchmaker") among many others. And did I mention that Grammy Award-Winning R&B diva, Evelyn "Champagne" King known for her multi-million selling classic old-school smashes “Shame” & ”Love Come Down” will be performing… So Don’t Miss OUT!! 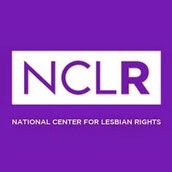 The National Center for Lesbian Rights is having a special fundraising event in Miami supporting marriage equality in Florida on April 12th at the American Airlines Arena from 7:30P to 9:30P. Join hosts NCLR Executive Director Kate Kendell, Elizabeth Schwartz, Lydia Martin, Raquel Matas & Carla Lupi for this fabulous fundraiser. Florida marriage equality case plaintiffs Karla Arguello & Catherina Pareto, Todd & Jeff Delmay, Pamela Faerber & Summer Greene & Dr. Juan Carlos Rodriguez & David Price will be in attendance for this event. Host Committee Member & Attorney Leslie Cohen stated, “Beth & I would like to invite you to join us at this very special event in NCLR's honor to raise money for Florida's marriage equality cases. This is our time so please join us in contributing whatever you can to help fight the fight. It will definitely be a great party. Looking forward to seeing you!” There’s so much to celebrate & your support has made so much possible! Don’t miss what is sure to be a fun and exciting evening! Suggested donation of $75. Any gift is greatly appreciated & 100% of all proceeds from this event go directly to NCLR’s Florida marriage litigation. The event is sponsored by American Airlines Arena, Bacardi & Southern Wine & Spirits of America, Inc. Gay ally & global superstar Jennifer Lopez will be honored at the 25th Annual GLAAD Media Awards in Los Angeles at the Beverly Hilton on April 12th. Lopez will receive GLAAD's Vanguard Award, which is presented to artists & media professionals who through their work have increased visibility & understanding of the lesbian, gay, bisexual & transgender community. Lopez is one of the Executive Producers of ABC Family's The Fosters, which is a GLAAD Media Award-nominated drama series about a lesbian couple raising a family of biological, adopted & foster children. Lopez's inspiration for producing The Fosters came from her late aunt, who faced prejudice because of her sexual orientation & was unable to have her own family. She saw the series as an opportunity to create change & tell the story of an authentic & loving family that happens to have two moms at its helm. Sarah Kate Ellis GLAAD CEO & President stated, "Through her work to bring The Fosters to life & by consistently speaking out as a powerful ally, Jennifer Lopez has not only sent a message of acceptance to LGBT adults & young people, but inspired new support for our community among her many fans around the globe. Family is about love & that's a message Jennifer has shared with millions through her groundbreaking work on The Fosters." 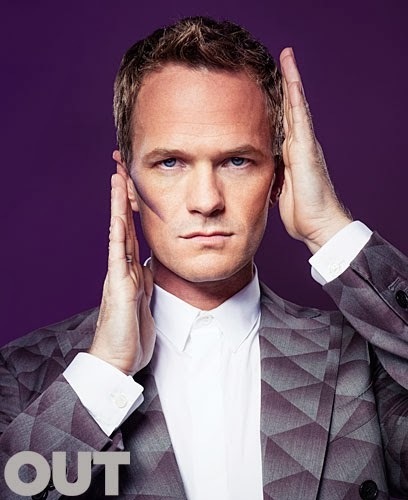 Past Vanguard Award recipients include Antonio Banderas, Drew Barrymore, Kristin Chenoweth, Whoopi Goldberg, Josh Hutcherson, Janet Jackson, Eric McCormack, Liza Minnelli, Sharon Stone & Elizabeth Taylor. The "HBO of lesbian content" tellofilms is proud to present “#Hashtag" a new web series about the online lives & loves of a pair of lesbian twenty-somethings. #Hashtag stars/writers Caitlin Bergh & Laura Zak, who both agree that having their first series produced by tello is a dream come true. #Hashtag follows Skylar (Bergh) who's struggling with the ill-effects of her long-term relationship on her comedy career & her best friend Liv (Zak), whose Instagram obsession is interfering with her OkCupid goals. Bergh a stand-up comedian who also appeared in the tello series "Roomies" with Julie Goldman & Brandy Howard stated, "We can't believe that Liv & Skylar, who've been living in our heads for so long, will be alive & kicking on tello.” Zak added "To have a production company support us through script development, production, & release is a dream for a beginning writer, & we're proud to have our show up on tello along with their fun, funny & poignant lesbian stories." Christin Mell, Executive Producer & CEO of tello Films concluded, "I am so very excited about this series. I think it brings a fresh & funny voice to the tello series landscape with the social media aspect." The series guest stars "Cowgirl Up" favorite Marnie Alton, Kate Black Spence (from tello's "The Throwaways"), Jim Bennett, Amy Thompson & many more. 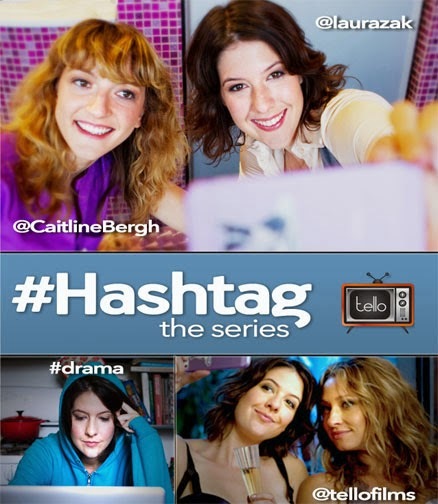 New episodes of "#Hashtag" will be released every Sunday, exclusively on lesbian web series hub tellofilms.com. tello makes & distributes web series for, by & about lesbians. 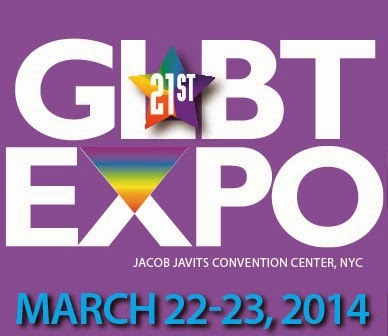 This weekend in NYC the 21st Original GLBT Expo takes place Saturday March 22nd & Sunday March 23rd from 12P to 6P at the Jacob K. Javits Convention Center. For the past 21 years the EXPO has helped to present the finest products & services available to the LGBT consumer. Starting in 1993 the EXPO has generated over $80,000,000 of dollars spent within the Greater Tri-State area. This includes the LGBT friendly companies from every industry, both large & small, Fortune 1000 & Gay-owned companies. They’ve all discovered the LGBT Community is affluent, brand-loyal, well educated & business minded. 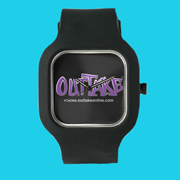 It is the truest of definition of "The Perfect Niche Market". Be sure to visit the I Love New York’s booth (#514 + 516) in the Passport Magazine Travel Show. There’re lots of exhibitors & events all weekend including the Original GLBT Expo WEDDING PAVILION for Wedding Wishes for gay & lesbian couples. 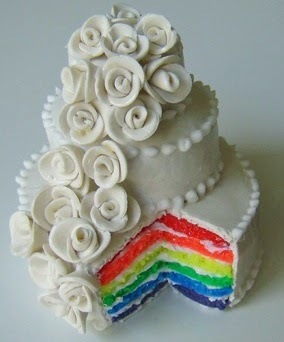 There are also many vendors for everything you need to know to plan your special day. Throughout the weekend there will be plenty of entertainment including an afterparty at The Ritz at 369 West 46th Street. This is The Official GLBT Expo Afterparty that’s happening from 6P to 4A with an Open Bar between 6P to 7P. DJ Justin Dawson & DJ Xavier will be spinning & live performance by XELLE with special celebrity guests. This is the Ultimate Expo Networking Party to Meet & Mingle, Dance & Drink with Expo Exhibitors, Performers, Attendees & more. Complimentary Admission with your Expo Badge. 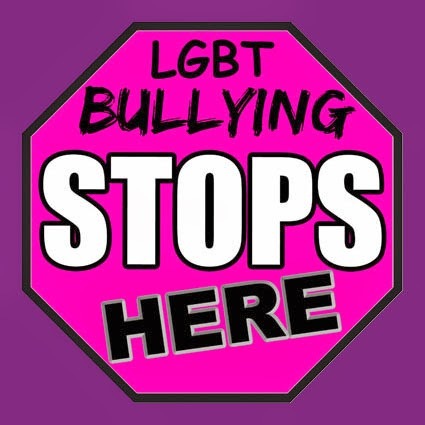 The Massachusetts Senate passed H.3909, An Act Relative to Bullying in Schools, which updates the state's anti bullying laws to include specific protections for LGBT youth who are the most frequent targets of bullying. Governor Deval Patrick is expected to sign the bill that will continue to provide strong safeguards to improve school climates in Massachusetts. Kara Coredini MassEquality Executive Director stated, “This legislation is the critical next step in the Commonwealth’s historic & ongoing efforts to keep all students safe in schools. We are grateful to Senate President Therese Murray, Senator Sonia Chang-Diaz, Chairwoman of the Joint Committee on Education & lead Senate sponsor & Senator Stephen Brewer, Chairman of Senate Ways & Means, for being extraordinary champions of the bill throughout the process, & we applaud the Senate for passing it. We also thank Attorney General Martha Coakley for the instrumental role she played in identifying the need for this enhancement to protect LGBT youth & advocating for its swift passage. We look forward to the Governor signing this bill into law.” Attorney General Martha Coakley added, “This update to the anti-bullying law allows us to better measure the effectiveness of our efforts to protect children & create safe environments for those who are especially vulnerable to bullying, such as LGBT students & students with disabilities. We want to thank MassEquality & the Anti-Defamation League for their continued leadership on this issue and applaud the Senate for passing this bill. 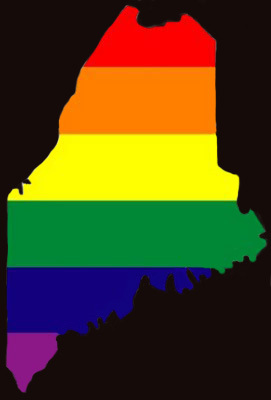 We look forward to this bill making it to the Governor’s desk.” At least 15 other states have implemented anti bullying laws that have explicit protections for LGBT youth in schools, which are necessary to ensure that harassment of LGBT students is not overlooked or disregarded. Boston Pride has announced that they have named Sylvain Bruni as their new President & Staci Stift has joined the Board of Directors of this fabulous LGBT org. We first met Sylvain when he co-chaired the 2012 Annual InterPride (the International Association of Pride Organizers), which was held in Boston. 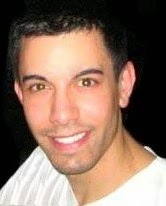 Currently, he serves as co-chair of InterPride’s communications committee. (Listen To Interview) Linda DeMarco, former President & current Vice-President of Boston Pride stated, “Our Board could not have chosen anyone more qualified than Sylvain Bruni to be named President of Boston Pride. Sylvain has been at my right hand in all things Boston Pride since I can remember. I truly believe without a doubt that Sylvain has what it takes to move this organization forward.” Sylvain Bruni, Boston Pride New President added, “After meeting & working with Staci for InterPride, we knew that she would be a great addition to our Board. Her skills in fundraising & large-event operations will be an asset to our organization & we are excited to welcome her to the team and to show her what Boston Pride is all about.” Boston Pride will host an Open House on Thursday, March 20th at O’Neill & Associates, 31 New Chardon Street, Boston at 6P to discuss the upcoming Pride Week & to announce the 2014 Boston Pride theme. In addition the board will announce the winners of the 2013 Boston Pride Parade. Boston Pride Week Takes Place June 6-16th 2014. 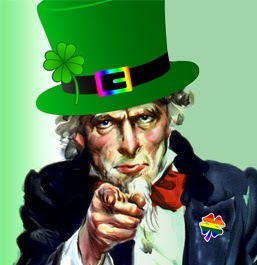 Following our lead in Massachusetts the Stonewall Inn informed Guinness that they planned to stop selling their beer because of their sponsorship of New York’s anti gay St. Patrick's Day Parade. 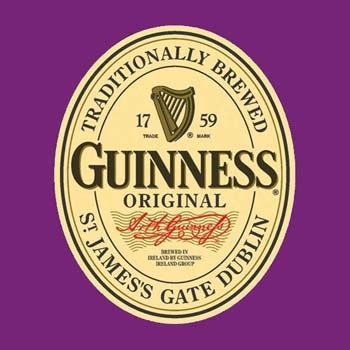 Guinness did the right thing & dropped its sponsorship due to the parade's discriminatory rule that prohibits LGBT families & organizations from participating stating, “Guinness has a strong history of supporting diversity & being an advocate for equality for all. 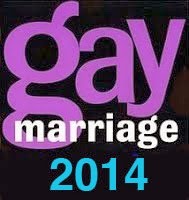 We were hopeful that the policy of exclusion would be reversed for this year’s parade. 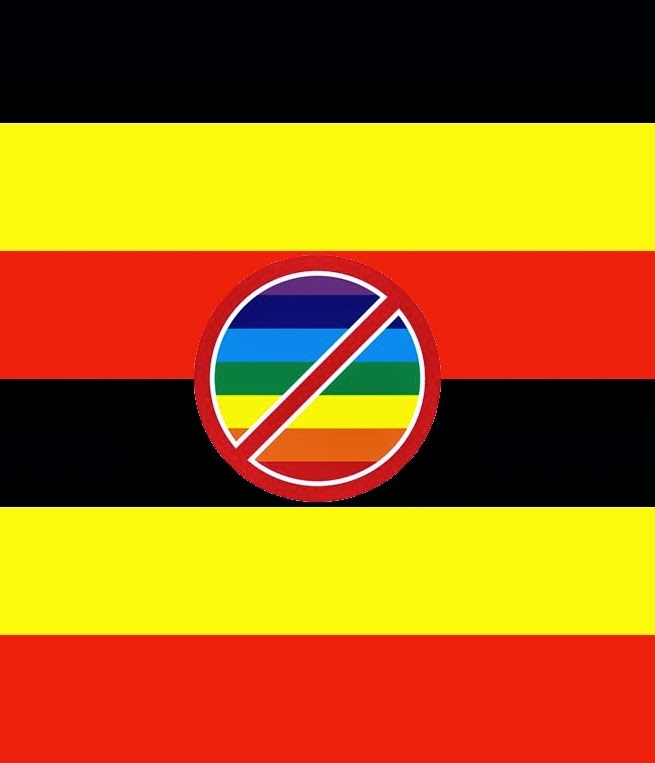 As this has not come to pass, Guinness has withdrawn its participation. We will continue to work with community leaders to ensure that future parades have an inclusionary policy.” Sarah Kate Ellis, GLAAD President & CEO added, “Guinness sent a strong message to its customers & employees: discrimination should never be celebrated. As a gay mom who has fond memories of the New York City St. Patrick's Day Parade, it saddens me that I can't give those same memories to my own kids because my family isn't welcome. Hopefully, as parade organizers realize that anti-LGBT discrimination is not supported by sponsors, or many Irish New Yorkers, they'll see that families like mine should be part of the celebration." On Friday, after GLAAD reached out to sponsors of the parade, Heineken dropped its sponsorship, saying that the company is "passionate about equality for all people." 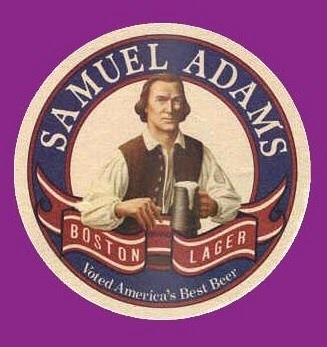 This all follows outreach from MassEquality & Club Café the largest LGBT restaurant & bar in Boston which persuaded Sam Adams to drop its sponsorship of the South Boston St. Patrick's Day Parade which also bans LGBT people from participating. 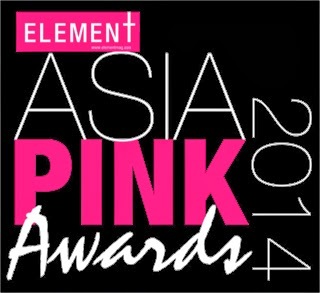 This Sunday March 16th Singapore’s first gay men's magazine Element will present the first ever Asia Pink Awards. The award ceremony will honor & give recognition to businesses & individuals that have been actively campaigning for diversity & social acceptance of our LGBT community in the Asia region. The awards are divided into two categories, individuals & businesses. Individual nominees include A-Mei, a singer based in Taiwan who is extremely passionate about her support for gay rights; M. Ravi, a human rights lawyer in Singapore, he mounted a constitutional challenge to have Section 377A of the Penal Code repealed; Anthony Wong, a famous Hong Kong singer & composer who publicly came out as gay during his concert series at Hong Kong Coliseum in April 2012; as well as businesses such as Google, Barclays & IKEA. Moovz a social networking site designed for our gay community is the only online platform on which users can watch the broadcast live. Liav Eliash, Moovz Co-Founder & CEO stated, “Moovz is about making our users feel comfortable with who they are in a community where they can be accepted. We feel that our collaboration with the Pink Awards is a seamless one because the Awards share our goal by recognizing those who have become leaders in the movement towards social acceptance for LBGTQI individuals in their own communities. In addition, individuals from all over the world will have the chance to view the awards ceremony live via Moovz, a capability that would not have been possible otherwise.” The Pink Awards will air live on Moovz, Sunday, March 16th at 8P SGT. Moovz will also host a live pre-show beginning at 7:30P SGT with Filipino gay pop star Sebastian Castro hosting & interviewing nominees. Negotiations have ended & the annual South Boston St Patrick’s Day Parade scheduled for this coming Sunday, March 16th will remain anti gay. Homophobic parade organizers, the South Boston Allied War Veterans Council continues to turn down all groups from the LGBT community invoking the Supreme Court ruling that allows them to decline registrations on the basis of the community represented by those who wish to march. Twenty years ago our LGBT community wanted to walk in the parade & were denied which resulted in a lawsuit that went all the way to the U.S. Supreme Court resulting in the Hurley Decision. Kara Coredini Executive Director of MassEquality said Wednesday the group had reached a dead end in its negotiations & won’t participate in Sunday’s parade. Boston Mayor Martin Walsh said he won’t march if gay groups are excluded. A Walsh spokeswoman stated the mayor is disappointed that no deal was reached. What the South Boston Allied War Veterans Council had proposed was a “Don’t Ask, Don’t Tell” parade concept for LGBT groups that would not permit any signs or references to anything gay if they marched. Beyond not allowing openly LGBT people, including LGBT veterans, the South Boston Parade continues to reject the participation of other veterans groups, like our allies at Veterans for Peace. So once again the alternative 2014 Peace Parade will follow on Sunday March 16th at 2P.